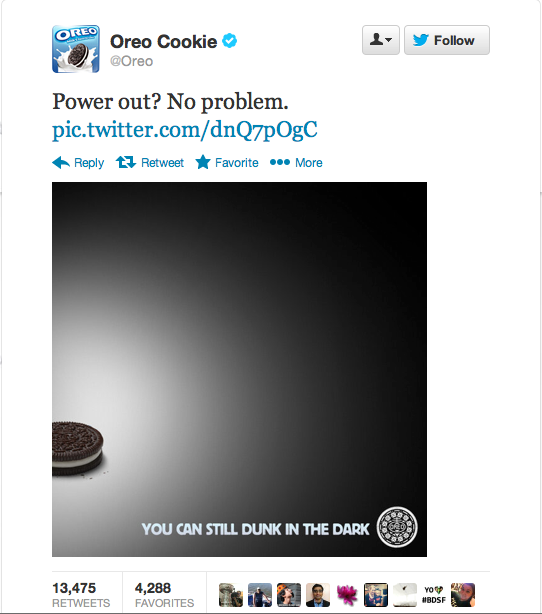 Only minutes after a post Beyonce power failure sent half the stadium into pitch darkness and the Ravens and 49ers back to the dressing sheds, the clever kids at Oreo tweeted this advertising gem. Contextually relevant marketing communications – what’s not to love? WARNING: Some sports fans may find the following footage offensive. For die hard competitors, this video could be deemed a sporting failure. Why? Because Ivan settled for second, failing to capitalise on a faltering race leader. However, in sport, as in life, it’s the little things that make all the difference. So if I was a European-based athletic brand wanting to promote integrity in sport and the gem of sportsmanship, I’d be meeting with Ivan and his team to develop synergies sooner rather than later. Such is the business of sport.